As all those who fancied themselves indispensable to the entertainment of the great unwashed laboured up the highway to far-off Halls Gap, the rump presented themselves to the blistering judgements of the Gold Street Boudoir di Bossa . An afternoon of fine ballad mangling ensued. Obviously a quieter affair, with the likes of Mssrs Chaos, Haircut, the Divine Miss S and the Gentleman hisself all up the Gap. Ah, the St Pete’s Box Hill Church Fete, for the fourth year running (or in the Captain’s case, the fifth). It wasn’t bucketing down when we got there, it was bucketing horizontally. It was cold, it was wet, we was miserable. A surprisingly large crowd turned up anyway. Discretion being the better part of valour, we ditched the outside venue, and set up along side the book fair in the Church. Great acoustics, and a great singer (Joys) aided our cause – certainly seemed to go down well, and the old boys taking the money for the book fair said they did heaps better than last year. As I was saying only last Friday, “And next week? Probably no one will turn up. Unless you do.. ” How wrong can you be! At least 33 musicians must have heeded the call, two of them, possibly, as a direct result of reading the newsletter and realising that attending a jam was marginally less painful. To put it in perspective, this is now the second busiest Jam session we have recorded since 2008 (the busiest was 35 musos for the Captain’s birthday bash). Halfway through October and I still haven’t told you about my gigs for this month! Been so busy. The “Breakout” monthly gig at Farouk’s Olive (711 High St Thornbury) will be on October 22 at the usual time of 5 to 7pm. Only $5 to get in and fine drinks at the bar. Great modern jazz too. Are you a great communicator and love building relationships? Are you passionate about jazz? We are looking for a Marketing and Development Manager to join our team. 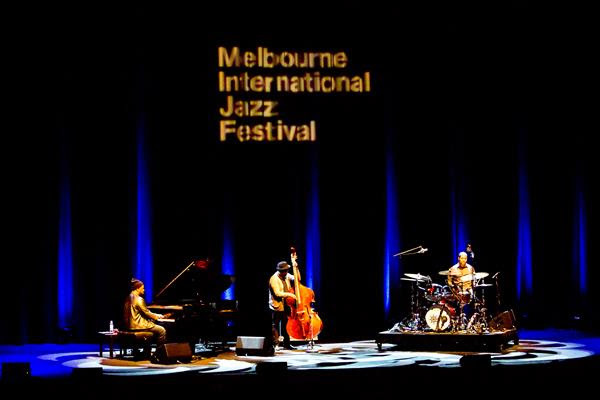 This is a great opportunity to be involved in the delivery of a major international jazz festival while working in a dedicated, supportive and enthusiastic team atmosphere. Full details are on our website – applications close Thursday 3 November. Rock on! Legendary singer-songwriter Bob Dylan was awarded the Nobel Prize in Literature on Thursday, October 13. Dylan, 75, won “for having created new poetic expressions within the great American song tradition,” the Swedish Academy, which chooses the recipient, said in a press release. A short list of nominees was not revealed. The 12-time Grammy winner is the first American to win the prize in over two decades. Novelist Toni Morrison was recognized for her work in 1993. It is always best not to think, but if you did, you might wonder why we can never assume that many people, some of them musicians, some delusional, most both, and the rest in search of social lubricant and light but essentially malicious gossip, will turn up on any given Sunday. The Vicar’s sermon must have run to a few extra pages at Matins, because we started with very few in the Gossip Shop, and it stayed that way for quite a while. Then, as can happen, they started pouring through the door, all deserving of extra playing time and getting it – until we could, as is now habitual, entice Glen (Il Duce to those in the know) from behind the bar to tell us to turn it down. In anglo saxon. The “Breakout” monthly gig at Farouk’s Olive (711 High St Thornbury) will be on October 22 at the usual time of 5 to 7pm. Only $5 to get in and fine drinks at the bar. Great modern jazz too.